The light under which we see the oil falling is flickering rapidly. It is a series of flashes, or pulses; it is a strobe. This flashing is at a set rate. This rate is not detectable by us just by looking: we cannot tell it is flashing on and off. It seems to be a steady light. It is flickering so rapidly that we do not notice it.. This strobe is the main reason why we see the oil flow as drops of oil falling up. The effect is similar to an effect possible in a film of the work. The ‘wagon wheel effect’ is a result commonly found in film. This is also probably where it got its name, being most noticeable there first in Westerns, where one could see it in the wagon wheels of stagecoaches etc. (it is also sometimes called the ‘stagecoach effect’). The effect is discussed on Michael Bach’s site on illusions. It is due to a mismatch between the speed of an object in motion and the rate at which we see this in motion. It is most noticeable with wagon wheels because they repeat the same pattern, a pattern which is structured enough that certain changes are readily visible. One can also do it with clocks, which I have chosen to do here. This video is an animation of the hand of a clock spinning rapidly and clockwise around its face. There are twelves different frames in this animation, repeating a number of times. …and so on for another ten frames, until we are back to the 12 position (at the thirteenth frame). Here is the same animation, except for one important difference: here, the first frame is visible, then every twelfth one afterwards (i.e., the thirteenth frame, the twenty-fifth frame). All the rest are blacked out. Despite the fact that there is a change in the frames underneath the blackout, we don’t see them; we just see a black screen. This seems to be just a flashing screen, through which a stationary hand is visible. The hand seems to not be moving, even though, underneath, it is. What gives this appearances of stasis? Our sample rate is the same as the rate at which the clock repeats. As a result, every time we see it (in this case, without any choice in the matter, because the rest is blacked out), it is in the same place. You could do the same as all this with a real life clock. It would just take much longer. Every minute on the second, look up at at the clock. You will see the seconds hand in the same position. It will seem to you as if the seconds hand is not moving (even if you know it is). Of course, to get the sort of non-change here, you’d need to do it for a few minutes at least, which might be tedious (and so I have conveniently sped it up for you). The blacking out of the frames makes the hand seem to be still. One can manipulate it further. Note: this is a slower motion of the hand than it actually is going through. It only seems to get halfway round the face in the time you see it; yet, as seen in the first video, it actually goes through several cycles in that time. In your perception, something similar could happen. Look at a clock every 65 seconds, and it will seem as if the seconds hand advances five ‘seconds’ of position on the clock for every minute of time. Most importantly here, we can make it seem that the clock goes backward. Again, whatever the first position might be (here, it’s 12), the next position is a step earlier in the cycle (here, 11). As a result, instead of the hand seeming to move on, as with the last video, it seems to go back. And again, just like the last video, the rate of motion is slower than it is normally perceived. 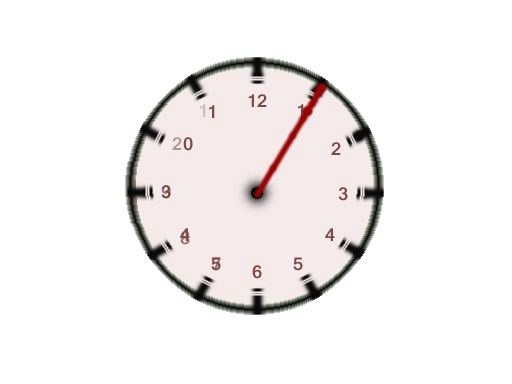 Again, we can see this in real life with a clock: glance up every fifty-five seconds at the clock, and you will see it as if the seconds hand is moving around the clock at five seconds a minute. 1. The seconds hand seems to slow down, even to freeze in place. 2. The seconds hand can reverse in direction. The reversing explains the cartwheel effect on film. The cartwheel spokes move through a cycle at a certain rate, but this rate does not match the rate at which the film captures the images of the spokes. As a result, in many cases, depending on how fast they move, like the seconds hand, a cartwheel spoke will seem to be at a previous or successive position in each frame. i. When a cartwheel moves forward left to right, it moves by rolling forward and down, moving clockwise when viewed from the street (and not, e.g., from under the carriage). ii. If it is at the ’12’ in the first frame, due to how quickly the spoke rotates, and how quickly the film captures it, the spoke might be at ’11’ in the next frame. iii. If this happens over and over, then even though it is, in fact moving all the time from ’12’ the long clockwise route to ’11’, the cartwheel will seem to move the shorter counter-clockwise route, from ’12’ to ’11’, i.e., counter-clockwise, and so backward. There is a complication with this account, and with Supermajor. This complication is not there in the seconds hand examples above. With the seconds hand examples, only one object is being observed to move. There is a single seconds hand rotating. But what if another seconds hand, otherwise identical, followed it? What effect would that have on freezing, reversing and so on? (a) The following hand has the same rate as the first hand. (b) The two hands are equally distant from each other on all sides (i.e., the distance from the hands clockwise and counterclockwise is the same). — This is how it is with the cartwheel: the spokes are at the same rate being locked in position in the wheel, and they are equidistant apart on both sides. They are regularly placed apart. Some spokes are not heaped up in one area of the wheel, the rest empty. This isn’t necessarily true. Some might be very badly designed and be uneven, even noticeably; my bet is that in such a case the cartwheel effect is more complicated. — This is also how it is with Supermajor, although not as obviously. All the drops are falling at the same rate, and equidistant from each other. If the pump unevenly pushed the drops out, this wouldn’t be the case, and again the effects would be more complicated. One might wonder how we can compare change in the clock or cartwheel — which rotate in a circle– with change in the stream of oil drops — which fall in a straight line. The difference between, on the one hand, the clock and cartwheel, and, on the other hand, Supermajor, is that there is not necessarily a finite number of drops falling. But take any region of space, and the result is very similar to the clock positions. Take, for example, halfway between the hole and the pool. Call this ’12’. There is a steady change here. Drops enter and leave this position at a constant rate. This change in a succession of different drops is equivalent to the cycle of the hands passing through a point on the clock. E.g., at position ’12’, of the first hand leaving it, followed by: the following hand entering (and then leaving) it followed by: the first hand entering (and then leaving) it, and so on. Given we have this succession of different but otherwise identical things entering and leaving a position, what do we get once we start blacking out certain frames? Consider the clock again. We get almost the same as what we get with just one hand passing repeatedly through that space. The difference is this: the point at which the position is occupied by successive hands is a shorter cycle, one shorter than that of the first hand’s own motion through that position. This is because the following hand reaches that position before the first hand gets back there. Say, as it does in the video, it takes twelve frames for one hand to return to a position on a clock. Say the following hand is six frames behind (and in front) of the first hand. Then it takes six frames after the first hand leaves a position for the following hand to get to it. Further, it takes six more frames for the first hand to get to the position after the following hand has left. This means that we have a different rate of replacement: whereas with just the first hand, it took twelve frames to have the frame reached again, with two hands, it only takes six frames for it to be reached. This means that we can treat it just like a faster version of the situation with one hand. As such, adjusting for how quickly the cycle takes with two hands, we can get all the same effects. We just need frames to be visible more frequently, in keeping with the increased frequency of hands reaching that position. If it takes six frames for ’12’ to be occupied, five of six frames are blacked out for the strobe. This has the same effect as the first hand completing a cycle in time with the strobe. The following hand simply replaces it before the other gets there. So, we get the freezing of a hand at that position (as outlined above). The only difference is that two hands are moving here, not one. E.g., if the first hand is in position 12 the first time a frame is visible, and the following hand is in position 12 the second time a frame is visible, nothing in position 12 will seem to change. There will always be a hand positioned there. — The Cartwheel Effect: If the cart’s spokes replace each other at a position at the same rate as the film records by frames, (again, assuming all spokes seem identical to the observer), then there will seem to be no change in what is at that position. Given we see the wheel overall, it will not look as if the wheel is moving. — The Supermajor scenario (or what I’ll just call ‘Supermajor’ from now on): If the drops replace each other at any location at the same rate as the strobe, (again, assuming all drops seem identical to the observer), then there will seem to be no change in what is at that position. Given we see the stream of the drops overall, it will not look as if the stream is moving. The drops will seem to be hanging in space. It now takes six frames for a position to be replaced; six of every seven frames are blacked out. As a result, in frame one, the first hand is at position ’12’; the following hand is at position ‘6’. In the next visible frame, frame eight (seven frames later), the first hand is at position ‘7’ and the following hand is at position ‘1’. This will seem to be a movement of hands from positions ’12’ to ‘1’, and from ‘6’ to ‘7’. It takes seven frames for this motion to be apparent. But, in fact, each hand gets through those positions in one frame. — The Cartwheel Effect: If the cart’s spokes replace each other at some position faster than the film records by frames, (again, assuming all spokes seem identical to the observer), then if we see the wheel overall, there will seem to be a slow advance of the spokes around the wheel. — Supermajor: If the drops replace each other at a position faster than the strobe, (again, assuming all drops seem identical to the observer), then there will seem to be a slow advance through the positions. Given we see the stream of the drops overall, it will look as if the stream is slowly moving downwards. Individual drops will seem to be slowly falling through space. Finally, we get to the effect which gives rise to what is seen in Supermajor. It takes six frames for a position to be occupied by the following hand; four of every five frames are blacked out. In the next visible frame, frame six (five frames later), the first hand is at position ‘5’ and the following hand is at position ’11’. This will seem to be a movement of a hand from position ’12’ to ’11’, and the movement of another hand from ‘6’ to ‘5’. It takes five frames for this motion to be apparent. But, in fact, each hand gets through these positions, in the opposite direction, in eleven frames. — The Cartwheel Effect: If the cart’s spokes replace each other at a position at a slower rate than the film records by frames, (again, assuming all spokes seem identical to the observer), then if we see the wheel overall, there will seem to be a slow reversal of the spokes around the wheel. This is the Cartwheel effect. This is where the spokes don’t replace each other in positions on the wheel at a rate of 24 frames or less. At frame one, the first spoke might be at the top, at position ’12’; at the next visible frame where a spoke occupies anything near ’12’, the cartwheel effect is because it is at position ’11’. A consistent rate of this means the next visible spoke near there is at position ’10’, and so on, in the opposite direction to the actual motion. There are complications here, which I’ve not needed to address until now. In actual films, it isn’t as simple as the clock example. First this is because carts slow down and speed up, changing the rate of the visible wheels. Second and more important, the standard rate of individual frames in filming is 24 per second. The spokes don’t move through position at anything close to that rate. If they did, the wheel would be turning very fast. Take, for example, a six-spoked frame roughly three feet high. For one spoke to replace another at a position on this wheel, e.g., for one spoke to be replaced by another at position ’12’, the spokes need to move through about half a metre. To match the filming rate, they would need to move through half a metre in 1/24 of a second. That’s 12 metres a second, or about thirty miles an hour. Cartwheels don’t move that fast. The answer for particular cases involves maths such as ratios and factors. I don’t need to get into the details, however. I’ll just reiterate my original point: what matters is what each successive frame shows. It is the difference between them that gives the direction of change (and speed). Say we have a cartwheel which moves clockwise. If the visible positions of the cartwheels — e.g., what is captured on each film frame — are a succession of positions closer in distance counter-clockwise than clockwise, we will get this effect. (This works particularly for cartwheels because there is empty space between the spokes; it is much less obvious with rubber tyres, etc. For each position, e.g., position 12, for some proportion of the twenty-four frames, there is nothing noticeably near it, either clockwise or counter-clockwise. If, after this empty period, another spoke appears at a counter-clockwise location before anywhere else, it will seem as if the first spoke has moved to that location, and thus in that direction (and then, keeping the same rate, this appearance continues). If the drops replace each other in some position at a slower rate than the strobe, (again, assuming all drops seem identical to the observer), then there will seem to be a slow retreat through the positions. Given that we see the stream of the drops overall, it will look as if the stream is slowly moving backwards. In this case, ‘slowly moving backwards’ means that individual drops seem to slowly rise through space. And so we get the illusion as seen in ‘Supermajor’. We seem to see a series of individual drops continuously and slowly moving upwards through space. But we don’t see the continuous rate of the motion; nor do we see the individual drops in motion. Otherwise, everything is how it seems. What we do see: a series of oil drops occupying different positions at different successive times in a particular region of space due to their passage through that space. This is not an illusion. — We do not see the drops continuously: strobe lights mean that a great deal of the motion of any of the drops we see is not visible; it is ‘blacked out’. Only the drops when the light flashes are visible to us. (They might very well move then but not enough to be noticeable). — We do not see the drops fall at the rate at which they fall: each drop we see is moving much faster than it seems to move. From one flash to the next, each drop, and thus the stream, is moving a much greater distance than anything visible to us seems. — We do not see the same individual drops in nearby positions from moment to moment. Each time the strobe flashes, and we can see the display, we see one set of drops at certain positions. When the strobe flashes again, we see a different set of drops near those original positions. The rate of the strobe is faster than the rate at which the drops fall. As such, for a particular position, one particular drop may occupy it at one flash of the strobe. But, when the next flash happens, that drop has left and may not be visible anywhere in the space (i.e., it may have fallen into the pool already). Given the rate of flow, as well, a multiple series of further drops may have fallen through the location during the blackout. But when that position in the stream is visible, it is after some drop has left and another drop has yet to reach it. However, we do not see just that position. We see other positions in the stream as well. And the nearest visible drop is about to fall into that position. This nearest visible drop to that position is a little above it in space. This nearest drop is not the same as the first drop (which could be anywhere below). But it seems to be the same drop because it is the nearest position. (b) One drop moving to a position just above it. This is my suggestion for why we see reverse motion in these cases. Perhaps a lot can be drawn from this. I leave that for later work (this post is long enough). I don’t think this work shows much more about the structure of our perception than what we get from similar issues in seeing film. The difference between this situation here and film is that the flickering or discrete visibility from film frames is replaced by flickering or discrete visibility from overall illumination. The flicker is in the light, not in what is lit (the latter which is in film). This does not show anything new for questions about our own perception and experience generally. It does not show, for example, that our experience of time is discrete any more than the perception appearance of a film as a continuous stream shows our experience of time is discrete. This is not to say that it does not show us something about our perception and experience of time. It just shows what film shows. This might be enough for some issues, e.g., it,involves the phi effect. I have not written about that here yet, but it is often thought to demonstrate an illusion of temporal order (which I think ‘Supermajor’ does not). Also, I have been told by at least one philosopher of cognitive science and one neuroscientist that the cartwheel effect can be seen in normal light, in the real world, e.g., looking at a car’s wheels as it rolls up to a pedestrian crossing. This could suggest that our perception of the world is discrete. Given other reasons to think that perception is discrete (and there are many other reasons to think so), the appeal to perception would be sufficient. But there is another possible explanation as well. The alternative explanation is that the light falling on objects even in normal circumstances is discrete. Like the light in Supermajor, it comes in bursts or pulses. Just like the art-work’s strobe, these pulses are the reason for the gaps in what we see. But our own experience or seeing could still be continuous. That is, one could explain a normal daylight perception of motion reversal if one assumed light itself is strobe-like in normal circumstances (remember, we don’t need to notice that it is). However, there are other reasons to think that perception is discrete, so there is no reason from reverse motion to assume anything about the light itself. In any case, in conclusion, that Supermajor doesn’t say something new about perception is not to diminish the wonder of seeing the work. Nor does it diminish the intent of the artist (which is about something beyond the effect here). Go see it. The effect, even understood as I present it here, is striking. And see the other exhibits above, including one which is very similar but on a much larger scale (and in which, like an old film, the flickering of the strobe is obvious). 1. It may be that this is not a difference. As Einstein proved, light does come in packets of energy — quanta, particles — so it may be that light is not continuously bathing or being reflected by any surface we observe. As such, light might come in discrete packets in such a way that even daylight is ‘flickering’. Alternatively, this ‘flicker’ is so rapid as to be completely undetectable by any instrument, natural or human-made, including our own visual system. I don’t know. One consequence of this might be an explanation of the wagon wheel effect which, I’ve been told by many authorities (but no literature), even occurs in our everyday perception. 2. Actually, sometimes, once I was aware of this, it seemed to flicker somewhat, but it didn’t obviously do so when I was actually looking at the exhibit. Also, I’m not sure if it really does seem to flicker at all, or that I’m just imagining it. 3. Again, the drops or spokes will vary. As a result, something will seem to change at those position. The drops may change size, vibrate and so on. But they will not seem to move through the space. Because, again, each time we see that space, it is occupied by a drop. 4. Or, to be exact, some multiple of the rate of the motion of the drops. Many drops of oil can have fallen through a space between one flash and the next. What matters is that the strobe flashes before another drop again occupies a particular position, and that the nearest visible drop is above that position. 5. Classic images of film also have the beam of light flickering. But I think this is because of the frames being discrete, rather than the light itself. In practice, it turns out the same anyhow. This entry was posted in Illusion, Metaphysics of Time, Space and tagged perception, Science Gallery, Spatial phenomenology on August 6, 2013 by timeandillusion2012. What illusions do theories of perception have to explain? You answer that you see, e.g., ‘such-and-such x’, some kind K, property P, relation R, or a combination of similar things — particulars, kinds, properties, relations. I might say ‘because how you see can lead to illusions and this is one of them.’ However, this is not an answer involving new information. If I’m assuming that the illusion comes from my seeing, I already know that seeing leads to illusions, and this is one of them. So, I might explain how perception works. In so doing, I explain how the way perception works can sometimes result in the illusion I demonstrate here. That is, my theory of perception explains this instance of illusion. Generally, what cases of illusion should I be explaining here? Need I only explain illusions that are actual or must I also explain illusions that are merely possible? In this section, I discuss why I think we need only explain actual illusions. This is not to say we cannot explain merely possible illusions, but that our theories ought only to explain the actual ones. (The section to follow, on what actual illusions show, discusses what we can predict from such actual illusions as regards possible illusions). Like Uncle Petros dreaming the solution to Goldbach’s Conjecture, what might be apparent could extend very far, and fail to correspond to how things are. As said before, some might use ‘appearance’ to correspond to what one believes, and this can include mathematical claims, and beliefs about abstract entities such as universals, unobtained possible world, etc. There are also those who think that some ways of understanding such abstract entities are less like some general belief and much closer to the perception of the world, e.g., Godel thought his understanding of maths was a form of perception, a perception of Platonic mathematical entities (Yourgrau 2005)). Seemingly, I perceive and remember particular spatially, temporally located entities and the properties that they possess. Consistent with such an appearance, or such phenomenology, is that (for perception) there are no and (for memory) there never were any of these particular spatially, temporally located entities and properties. If there are or never were such spatially, temporally located entities, my entire experience is an hallucination. If there are (and were) particular entities, but they have none of the properties that I seem to perceive, my entire experience is an illusion. Illusions will only concern me, for now (I’ll put aside the further complexity of hallucinations for a later post). It is possible that every property which I seem perceive or seem to have ever perceived is merely apparent. There is no and never was such a property (at least, properly connected to me via perception and memory — but take that as implied in what I say hereon). Let us call this possibility the possibility of Universal Illusion: ‘illusion’ because there is the appearance of a property without there being a real property; ‘universal’ because it applies to all properties which one seems to experience or to have experienced. The question then is this: Does one have to accommodate the possibility of Universal Illusion in one’s theory of perception? We might ask the question this way: When one explains how one’s perception works, including how certain appearances arise, and how they connect to the external world, must one include an account which allows that any appearance of a property can occur without there being such a property? Or we might ask it this way: In providing an analysis of perception as a set of features, including phenomenology, causation, and conditions for how it actually occurs, must one include in that analysis, have it built into the system, the possibility to generate universal illusion — even if, as one assumes of one’s actual perception, no such universal illusion ever occurs? In answer to all of these, I would say: we need not cover the possibility of universal illusion in our perceptual theories. Something, such as universal illusion, may be possible, but if it is only merely possible, one does not have to include in what is actual. How our perception — yours, mine — works is something actual; the range of appearances it can give rise to is an actual range, not a merely possible range. The merely possible is useful when developing accounts of this range. But nothing merely possible is necessary for it. So, for any appearance of x, it may be possible that there is no real x. But, if in providing a theory of perception, I do not accommodate that possibility, with no other motivation to do so (see below) then this is not a failure of my theory. If one presents a perceptual system which does not give rise to universal illusion, one does not fail to provide a suitable perceptual system for our actual perception. The positing of illusion is either irrelevant to a theory, where the theory has no empirical content, or is a bad-making feature of a theory with empirical content: the more one’s theory relegates appearances to illusions, the worse it is as an empirical theory. This is to do with the role appearances play in an empirical theory. So, perhaps we have a choice between (a) a perceptual theory which gives rise to any illusion or (b) a perceptual theory which restricts what kinds of illusion can arise. If one is free to chose, for the empirical reasons above, one should select ‘b’: it limits the number of illusions by limiting the number of illusions that can arise; one can say, given (b), in certain cases of appearance, there is no illusion here because there is never illusion here. More is to be said on this. Here, I assume that a theory of perception need not provide an account involving the capacity for universal illusion, and, even more, the less illusions it is committed to the better. If one thinks we need perception to have the capacity for universal illusion, one needs more than the mere possibility of universal illusion. One needs something to push us in this direction. One would fail to provide a good perceptual theory if one did not account for actual cases of illusion. In such a case, there are actual cases of perceptual illusion which are not accounted for by your perceptual theory. Such actual perceptual illusions are cases of a certain relationship between perceptual experience and the world otherwise (in the case of illusion, the relationship is at least a discrepancy between perceptual appearance and the world). This leads to my next assumption about theories of perception: perceptual theories need not be about perception in a void; they need only be theories about perception in the world (they can, of course, be consistent with a theory of perception in a void). This means, first, a perceptual theory which does not account for the actual range of relationships is a perceptual theory fails to account for something actual. If one element in that range is an illusion, the theory fails to account for an actual illusion. But it also means that, should a theory require that, in some cases, perception is constituted by worldly entities, things which are impossible given perception in a void, this is not a weakness of the theory. I assume that it is not a condition of a perceptual theory that it be consistent with Descartes’ imagined scenario of an evil demon, nor with a solipsist’s “world”(if it can be called that). This suggests the following: one’s perceptual theory need only be worldly; further, they have an empirical aspect to them concerning actual empirical evidence. It is tested by actual illusions, not merely possible ones. This is not exhaustive of what perceptual theories have to explain. But it is, I think, an important part of what must be uncontroversially explained. A reductive or eliminativist physicalist might need to reduce or eliminate ‘perception’ itself and, in so doing, explain why we refer to it. But this is something which other theories will not be concerned with. What does an illusion of x show? 1. I might also take back what I said and explain that in fact there is no illusion here. There is no discrepancy between how things seem and how things are. There is a discrepancy between how things are and something other than how things seem. This ‘other’ is what makes me believe or want to report that I see K, P, R, x, a combination of these, etc. This entry was posted in Constitution, Illusion and tagged empirical theory, good-making features, perception, possibility on July 27, 2012 by timeandillusion2012.